There are currently 140 companies in Estonia which produce and export wooden houses, mainly to Scandinavia and Central Europe. Founded by Argo Saul, Nordic Houses was one of the first to spot the endless demand of Nordic countries for holiday cabins and to bring together two things – high quality Estonian timber and its export to comfort-loving Norwegians. It has been a rapid success story for Argo Saul’s company and, fifteen years later, it is still growing. Saul says they have decided on their main export markets, as tests in slightly unorthodox markets like Holland and France and, even in India, have shown the company that it requires too many resources to enter those markets. Today, the company focuses on four main countries – Estonia, with Norway, Sweden and Germany for export. For example, the company will be represented at Germany’s largest construction trade fair, BAU 2017, where it will have a joint stand with Enterprise Estonia. Argo Saul’s story as an exporter of wooden houses goes back to the late 1990s when he returned to Estonia, having lived for some time in Norway. He got a job and then – entrepreneurial soul that he is – he got restless. Before he established his own company, however, he met a customer whom he used to have contact with in Norway and who was about to have a wooden house built for him. Saul mediated some contacts between the Norwegian and Estonian producers. However, the client was accompanied in Estonia by the architect Asbjørn Buen, undoubtedly the most well-known holiday homes architect in Norway, who was assisting with quality control on this trip. Saul and Buen got along famously, and this chance meeting led to the creation of a joint company: ‘In the first year, we produced 25 houses, but this number grew explosively year to year. In 2016, we had already made 110 pre-cut houses and also about 50 element houses, including special contracts,’ says Saul. The company functions in way that pre-cut and element houses are built in two separate factories, then the house is sent to target market re-sellers, developers and main contractors who deal with the sales process with the customers. The houses are also erected by small companies with Estonian roots, but as volumes grow, Nordic Houses plans to employ builders from other sub-contractors. Saul describes how,using the example of Norway, trends and lifestyles are changing. 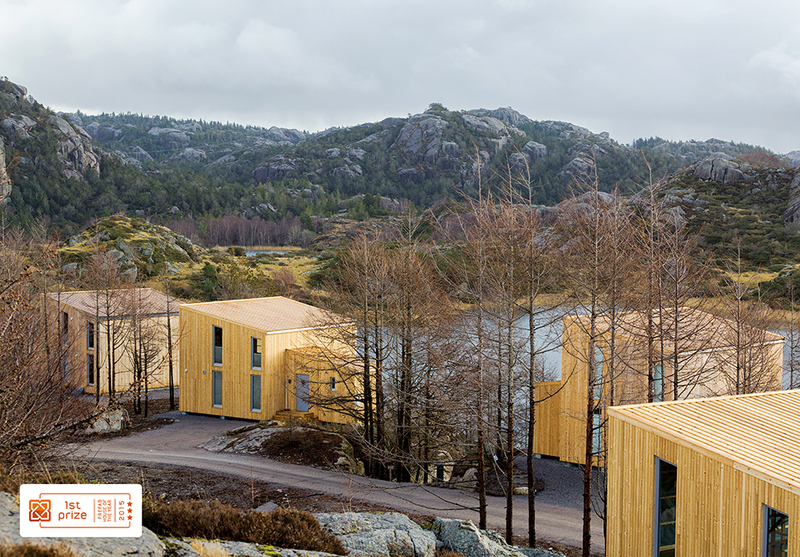 ‘In the early years of production, most demand in Norway was for log houses. We primarily supplied pre-cut houses which the customer had to assemble themselves. Today however, customers mostly want energy-efficient wooden houses, and a lot of the time these will be completely finished houses, which require specialist assembly.’ This means that there is less willingness and skills to ‘do it yourself in society’ than previously, which int turn provides more work for wooden house producers. Our slogan is: ‘More time for living’. In other words, it is our job to offer quality and properly thought-through solutions, so that house owners will not later have to deal with problems. In order for us to fully understand our customers, we have employees fluent in the languages of the target markets working there,’ says Saul. The look of the houses has also changed. 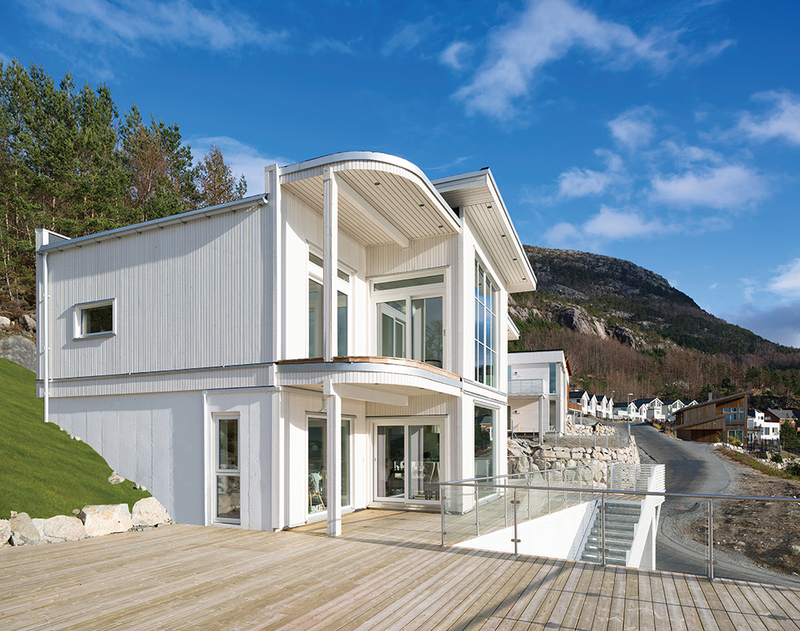 Albeit the most popular house model by Nordic Houses is the classical Scandinavian holiday cabin, there is also more and more preference for larger and more modern houses with glass surfaces for naturally beautiful environments. 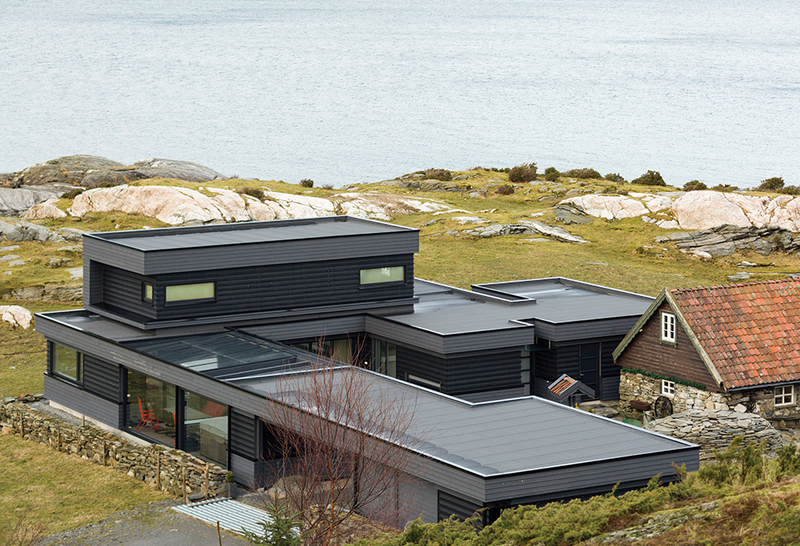 The most popular model of the company in the pre-cut series is Storodde – a four-bedroom house designed by Asbjørn Buen, which also has almost 50 square metres of terrace. In contrast to the classic designs, Nordic Houses also offers modern house modules called Nordic Compact, whose architectural solution was created by the Estonian design bureau Trilog Studio. The house consists of a spacious main module, and users can attach as many additional modules as desired. The modules can also be added later, for example when there are additions to the family and needs change correspondingly. Nordic Compact has also won the award for the best Estonian Factory House, which is issued annually by the Estonian Wooden Houses Association with the aim of acknowledging the wooden houses produced in Estonian factories.